Taking a look back at the year and analyzing my best and worst luxury purchases of 2018. It’s a great way for me to reflect on what worked and what didn’t and give you advice along the way! So grab a cup of coffee or tea (maybe some wine!) and enjoy! 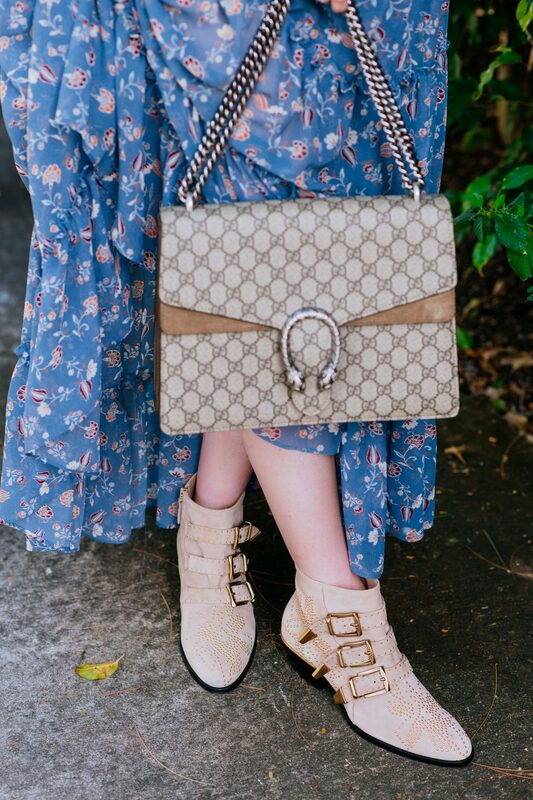 The Gucci dionysus is one of my favorite and most used handbags of 2018. 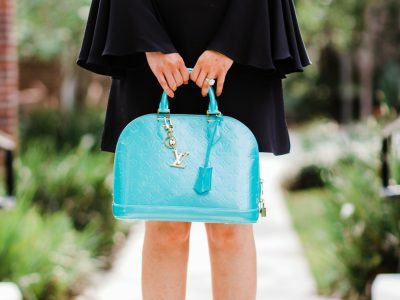 I have some amazing handbags that were my favorites throughout 2018- so def check out that post if you want to know what handbags I used the most! What I love about the Gucci dionysus: it’s shape, how much stuff you can fit inside, the suede details, the craftmanship. The only con is that the chain is heavy. Other than that, the bag is amazing!! The Lady Dior is a timeless staple. It’s the bag Princess Diana made famous. I’m not sure what possessed me to buy the largest size (probably because I got such a good deal here) but it was too large. The Lady Dior is difficult to get in and out of due to the zipper closure. I do love the bag- just in a smaller size. I don’t think it will ever be my “go-to” handbag but I love the way the small one looks for days you don’t need to pack your life with you. It’s a size I will consider in the future. The gucci marmont belt was well worth the investment. I got it in two colors (white and black) and wear it all the time! It’s such a classic piece and really makes an outfit pop. It’s totally worth the money if you consider cost per wear. I highly recommend! Malone Souliers is a brand that I fell in love with this year. They are comfortable and super sassy! I picked up this pair over the Holidays. Loving the mules! If you are looking for a designer shoe that is comfortable and pretty but not a lot of people know about-then try this brand out! Ok hear me out, the Chloe susanna boots are gorgeous and well-designed. However, for the prices I expect more. I got them in suede (probably not the best material) but I already see signs of wear and tear. I got mine on sale (they are still on sale here) and would recommend to get them for discounted, if possible. A great place to scope out designer items on sale is here. The Saint Laurent wallet on chain was a fantastic purchase from 2018. I wear it all the time! 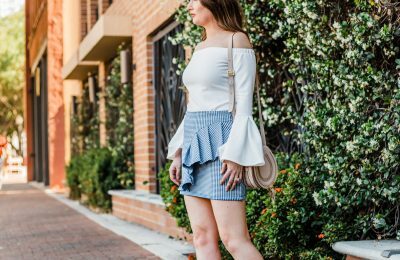 It’s easy to throw on and transitions well from day to night. I got mine on sale here! 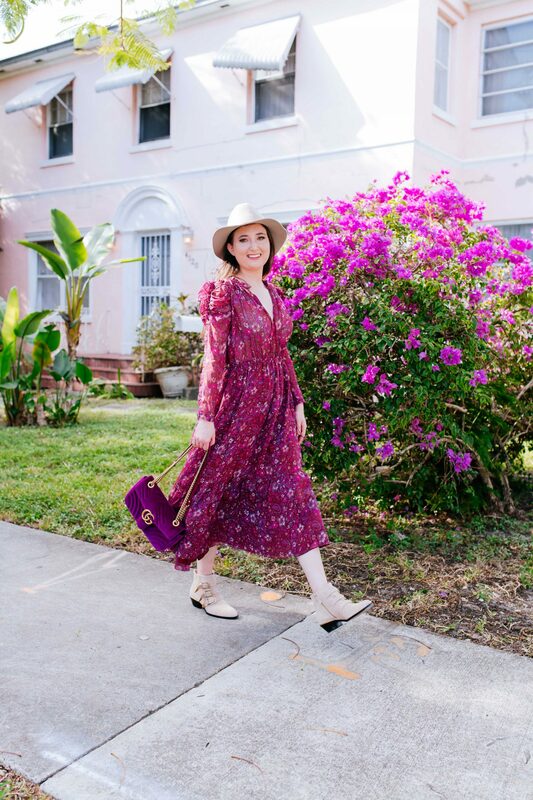 Ulla Johnson is another brand that I came to love in 2018. 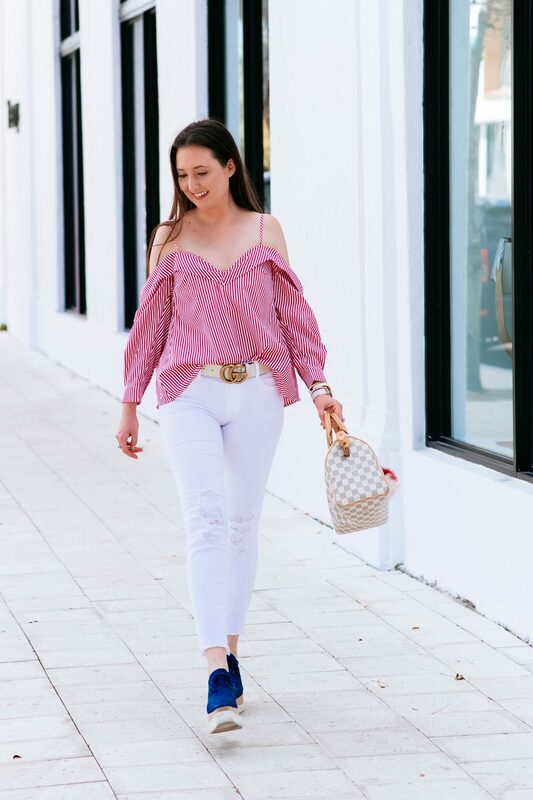 It’s a designer clothing brand that is a splurge, but oh so worth it! Her clothing is feminine and whimsical with lots of frills and ruffles. I love splurging here and there on really nice pieces. Ulla Johnson is so well made and I love the aesthetic! It’s the type of clothes I can have in my closet for many seasons to come (and that’s what I want when I spend a lot on clothes). I must start by saying these shoes are AMAZING! So why did they make my worst list? Because for the price, I should have worn them more than I did in 2018. The fact that they are gold probably has something to do with it. The gucci marmont pumps are comfortable and fun! The black version probably would get more wear. However, I love the gold and am so happy I got them in that color. I just need to be more mindful about them and craft outfits around them. 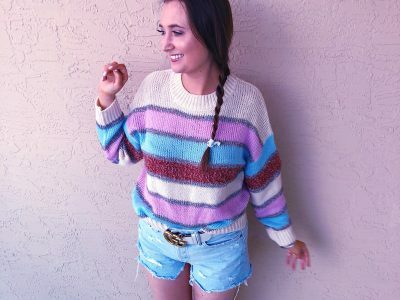 Loveshackfancy is a designer clothing brand that I fancied over in 2018. 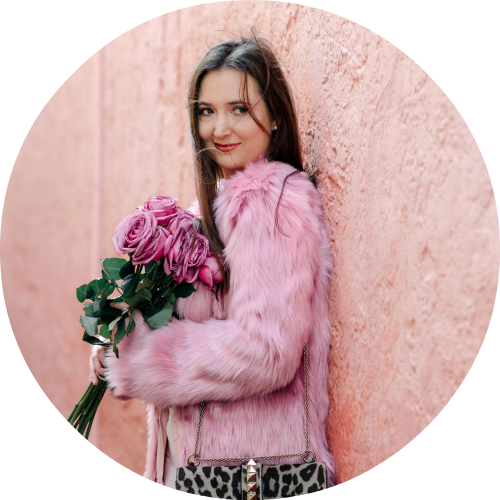 The brand is whimsical, fun, and girly. 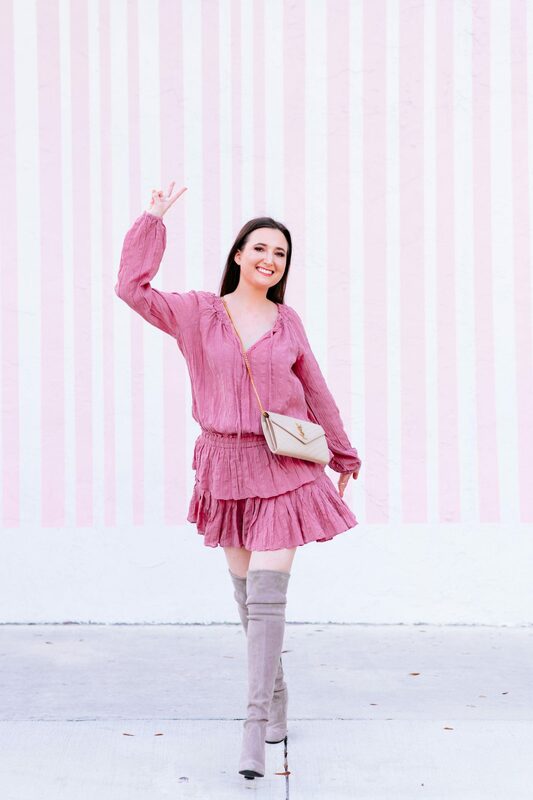 I love that the dresses have a boho vibe and are easy to wear with boots, heels, or causal with sneakers. I want my designer clothes to be functional and versatile due to the higher pricetags. This brand really delivers in versatility and ease of wear. These are a nice list of best and worst. I enjoy knowing what is worth the price tag and what isn’t. 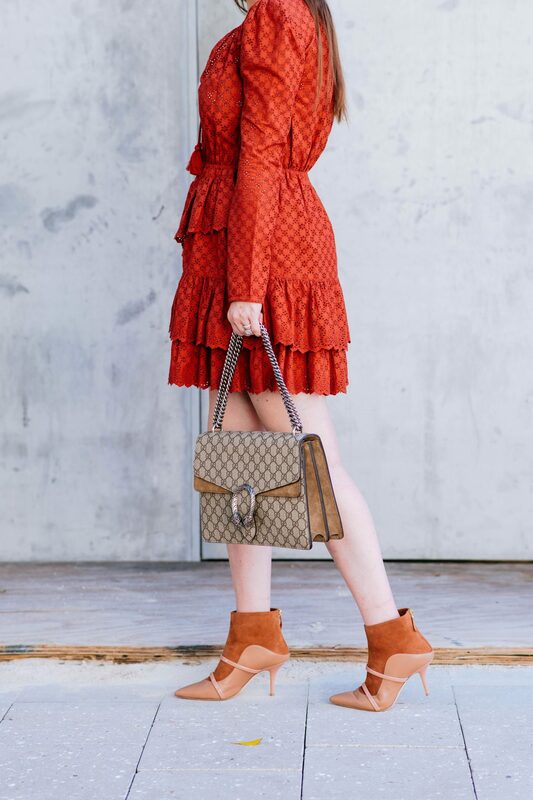 Those Chloe booties are beautiful but I am disappointed to know that they aren’t holding up. 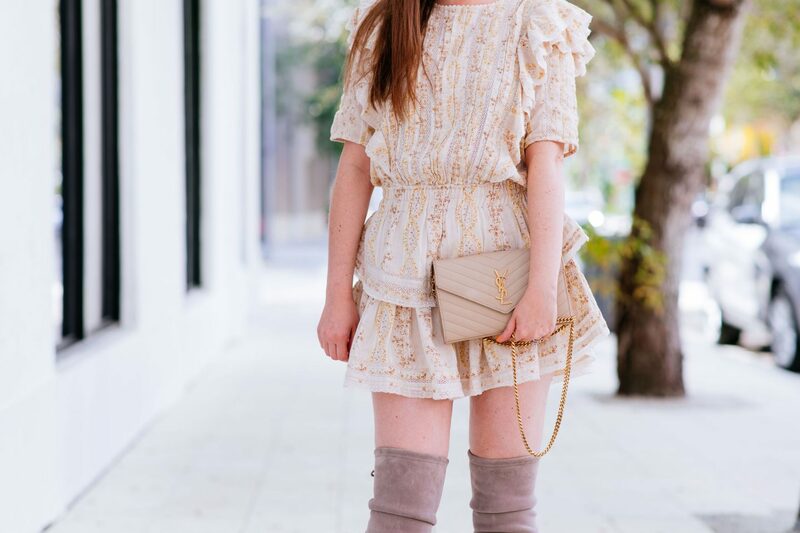 Gucci and Ulla Johnson are on my wish list! Glad you enjoyed! Still love my Chloe boots but for the price I think they could be better (recommend the leather ones). I actually found some amazing dupes for them that I posted on my youtube channel. Thanks for stopping by!